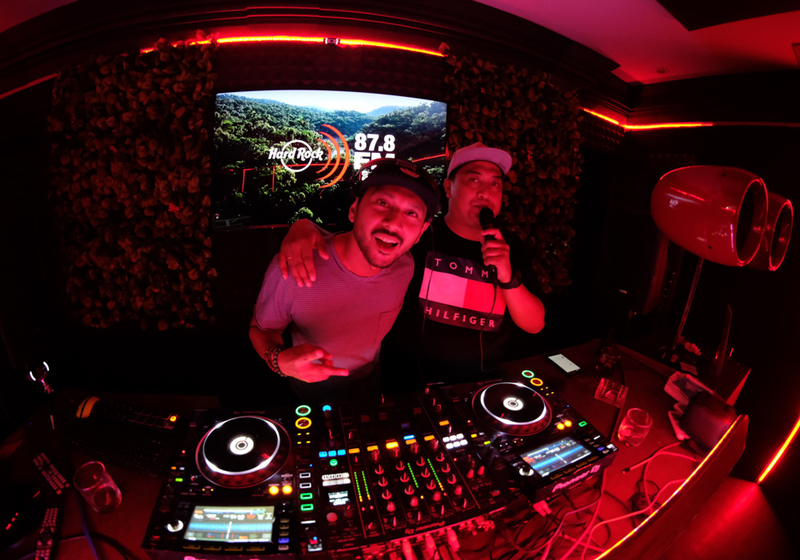 You may have heard on the grapevine that I’ve left the almighty creative streets of Manchester and I’m on my #DJAirMiles travels, current location; Bali, scoping out the local music scene. 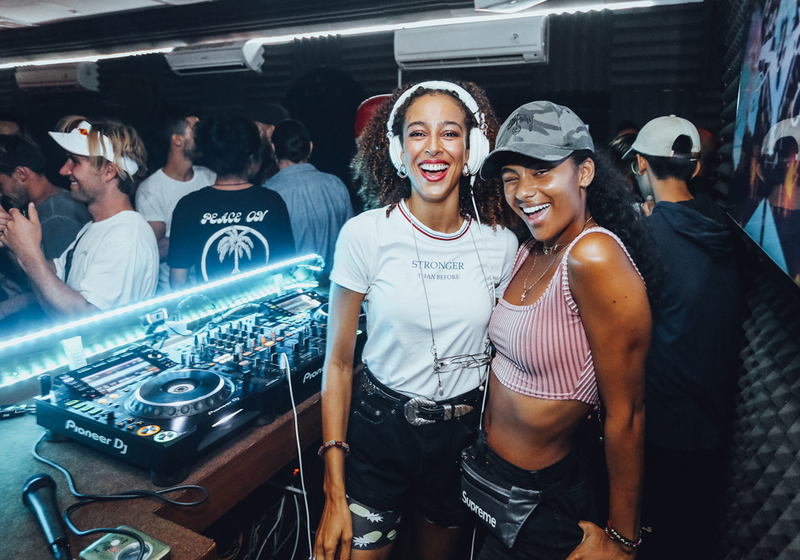 The electronic scene is seriously thriving over here and I’m beginning to understand why Bali has been labelled the new Ibiza. The beach clubs are oozing with the Bali laid back; cool chic party vibes of the islands soulful grooving house and under ground beats. 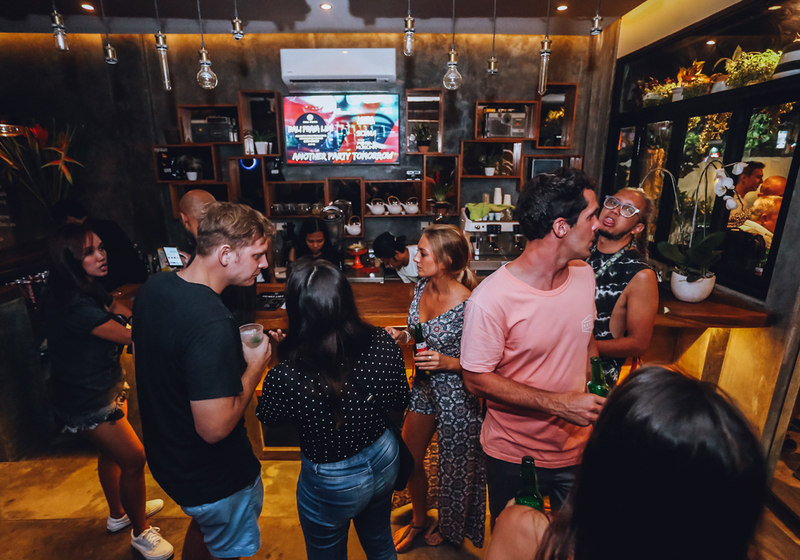 From Potato Head, Cocoon and Finns in Seminyak, to Ulu Cliff House and Single Fin in Uluwatu there has been a lot of cocktail drinking and dancing into the moonlight, all in the name of, “market research” which then steered me in the direction of Bali Praia, the music hub of Bali. 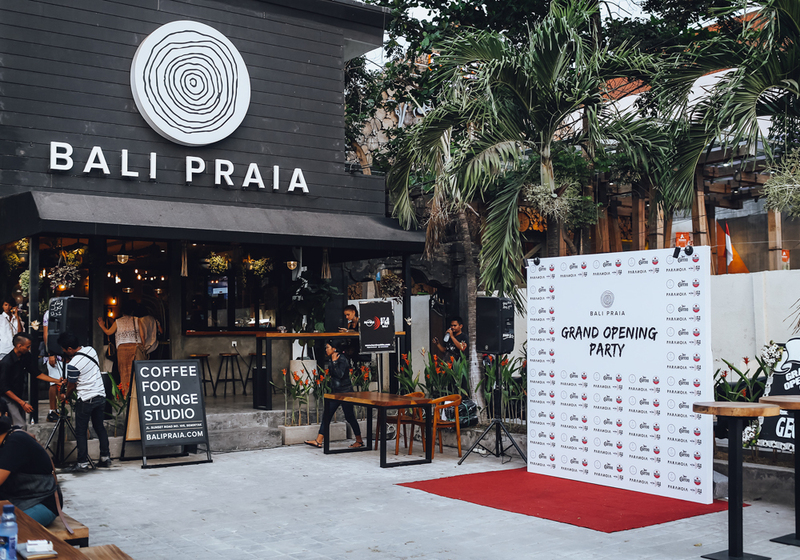 Bali Praia is a multi-faceted business incorporating a record label, a state-of-the art recording studio, a fully equipped lounge, plus a cafe in their brand new two-story facility on Sunset Road, Seminyak. 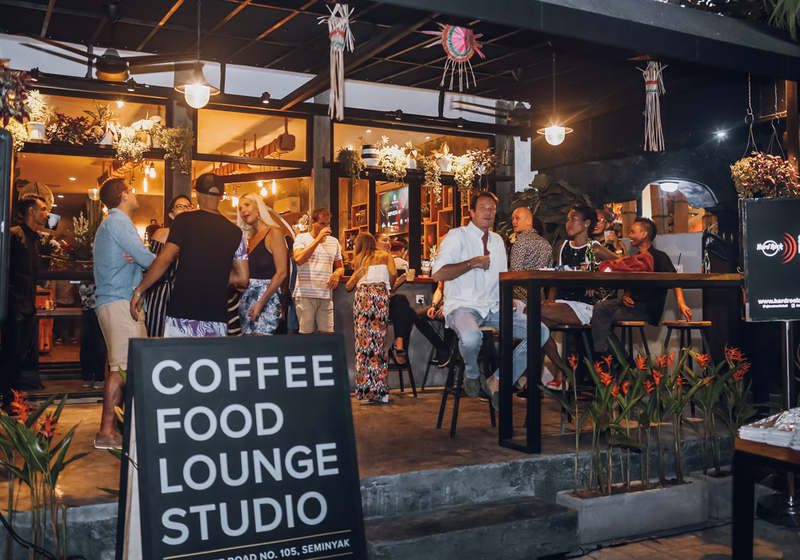 Their concept is about nurturing local, as well as international talents, and providing them with a creative hub to make music, share music, talk music and network with other likeminded individuals from all over the world. 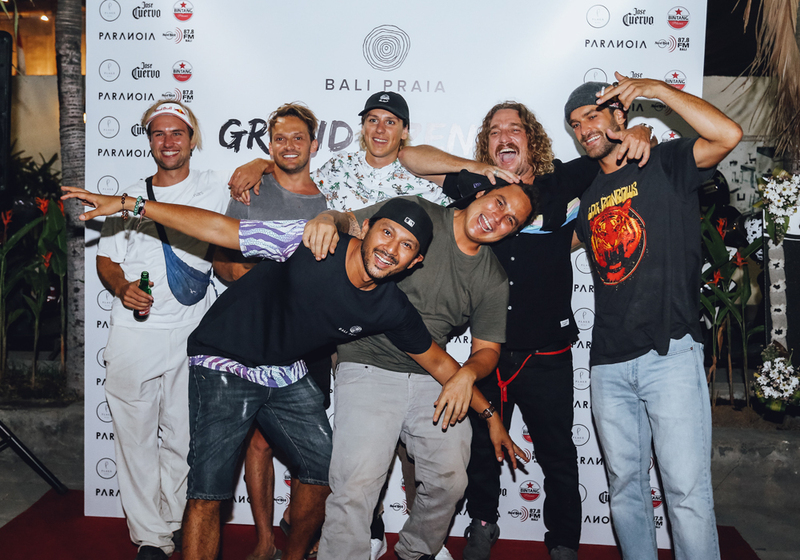 I caught up with owners Mikey Moran and Fadi Alturk who’s aim it is to make a significant impact on the Bali community with a business model that’s truly unique. Mikey is also the brainchild of GO-JEK which is the Bali equivalent of Uber back in the UK. 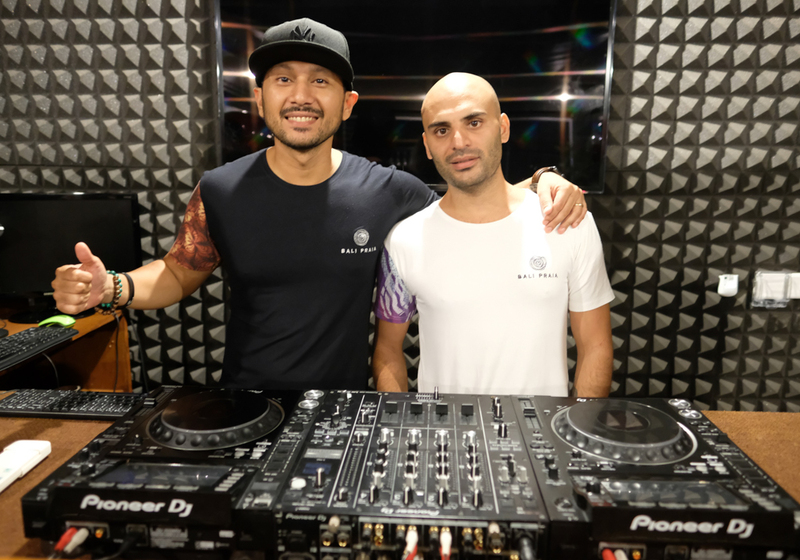 He met Fadi 15 years ago when he was working the DJ scene in Jakarta. 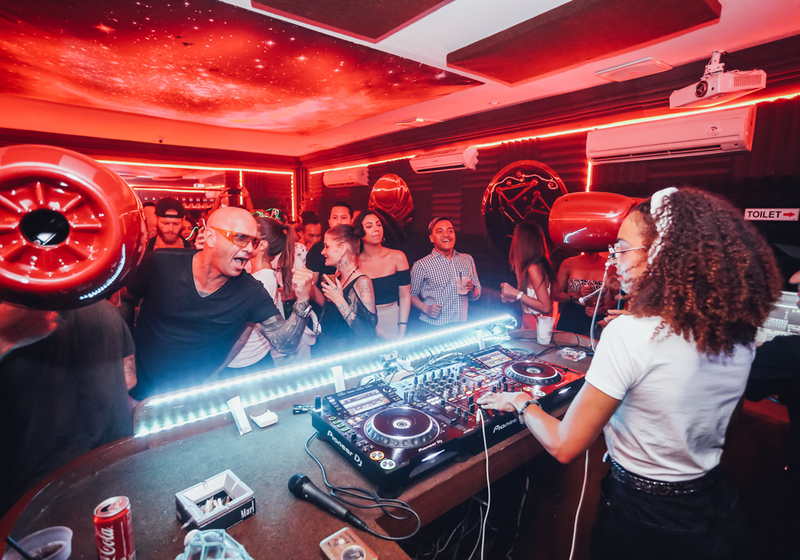 Fadi would travel over to Jakarta to DJ with Mikey and he would go over to Bali to do the same and so came the idea to set up Bali Praia together. 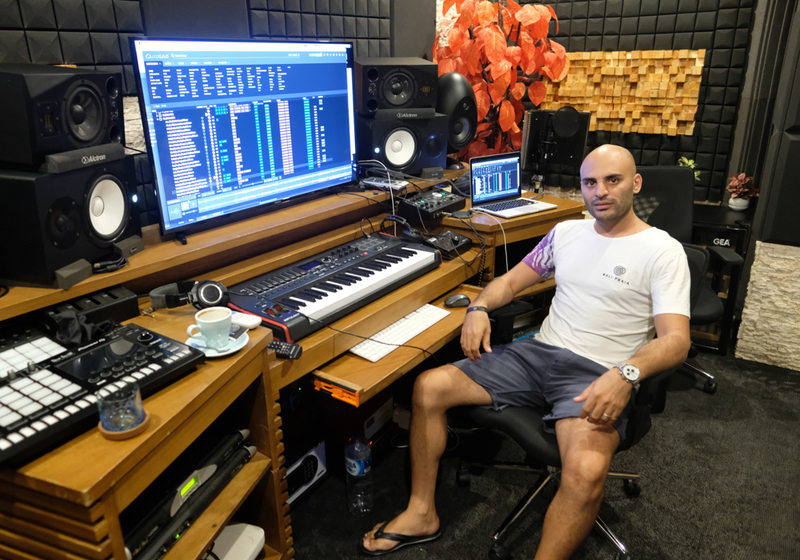 Fadi is a legendary island DJ and nightlife mogul, who moved to Bali from Sweden in 2001 when there was only one club on the island called Double Six which Fadi started DJing at, then became the entertainments’ manager. 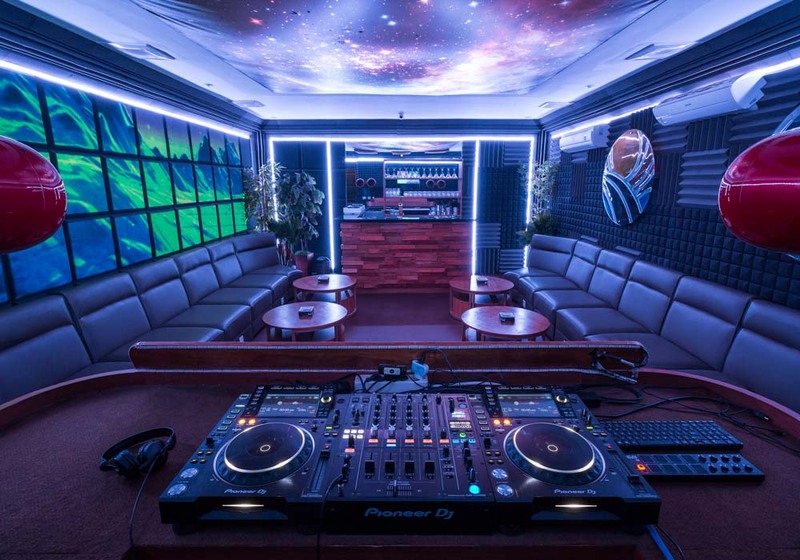 The electronic music scene was just getting started back then and two thousand people would come through the doors of Double Six nightly. 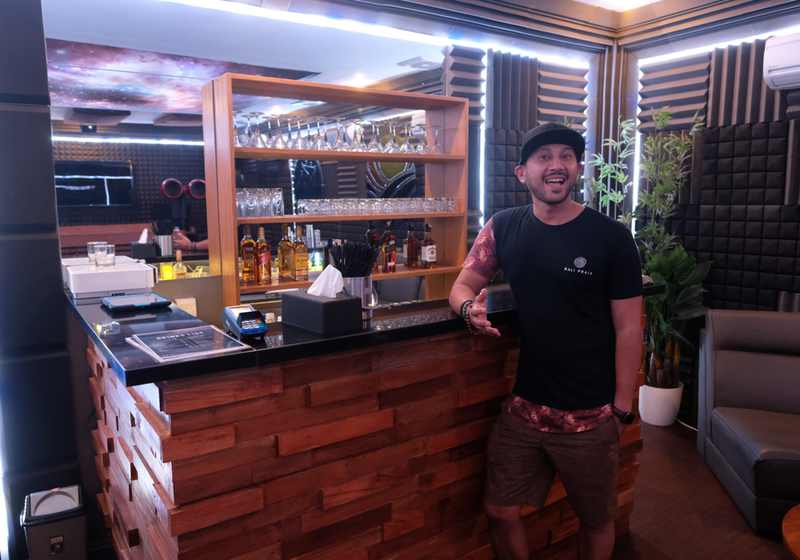 Fadi had a feeling that Bali would one day become as big as Ibiza and he was right as now there are beach clubs popping up everywhere and big night clubs located all around the island. 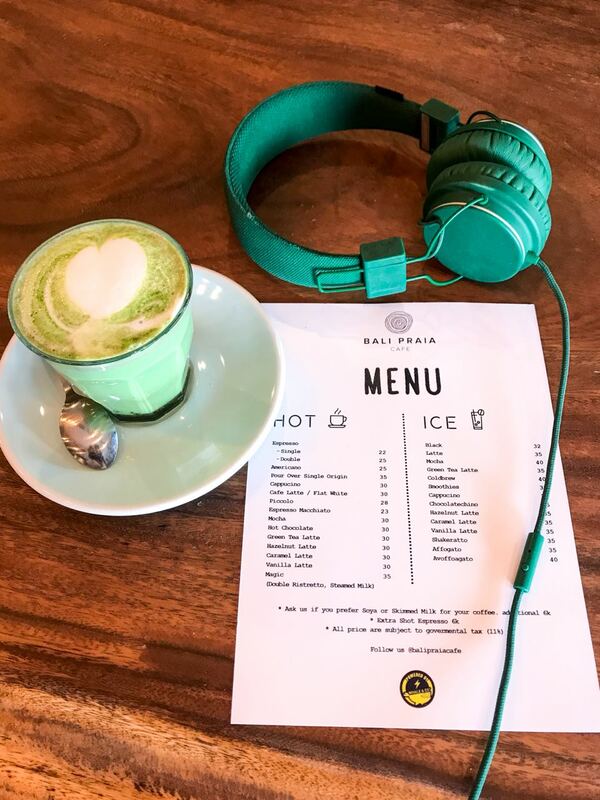 Bali Praia is a combination of Mikey and Fadi’s shared love for music and Moran’s innovative and entrepreneurial flair inspired by his GO-JEK roots. I also got to meet Bali Praia’s studio producer Per, who is known as one of the greatest producers on the island. 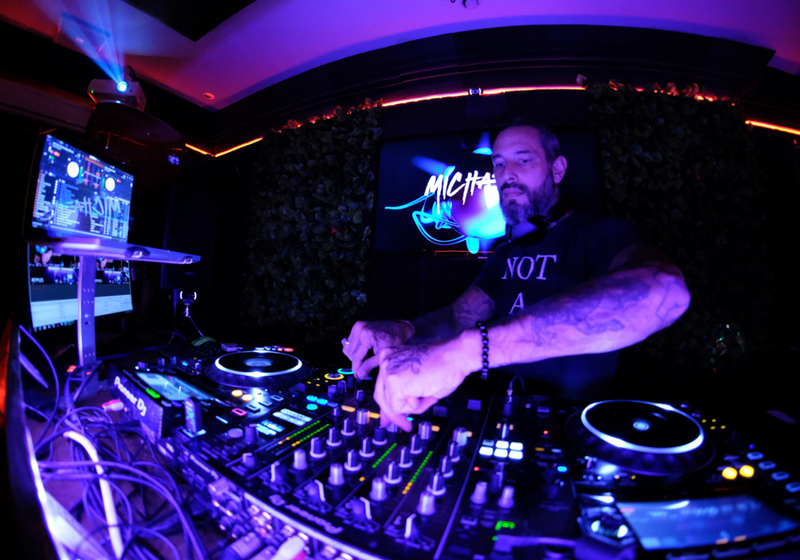 He produes tracks daily, making a lot of music for film and TV, and some of the biggest names in the DJ world, including Pete Tong, play his music. 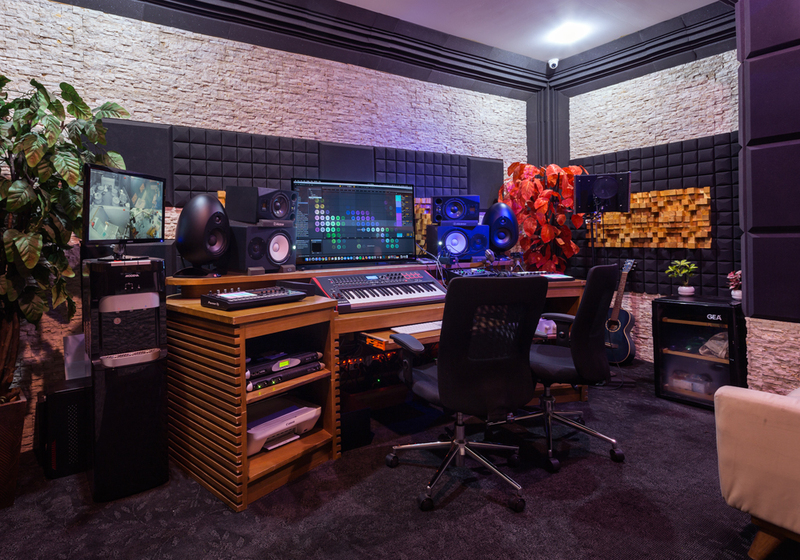 At Bali Praia, Per is helping local talent make music to get them to the next level. E.M.A: Tell me more about the concept behind Bali Praia? 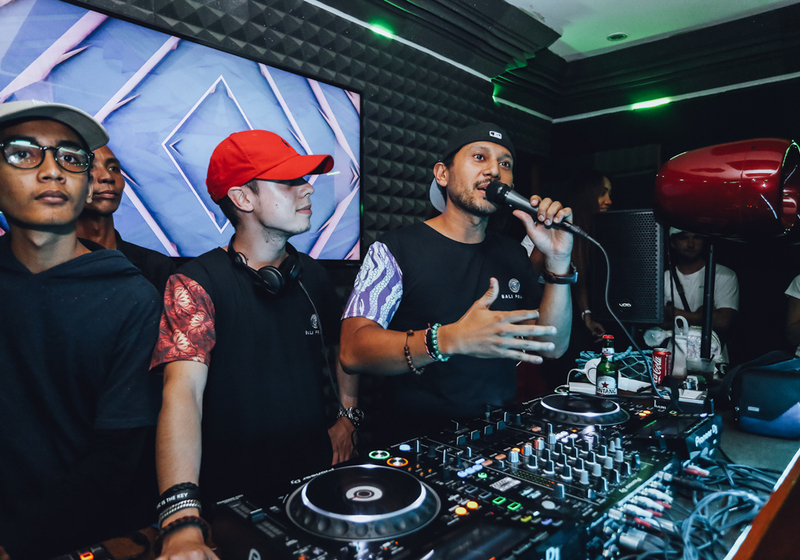 Mikey: It’s a music hub for connecting DJs and music artists together, we help people to become DJs and producers, our motto is ‘music is the key’. 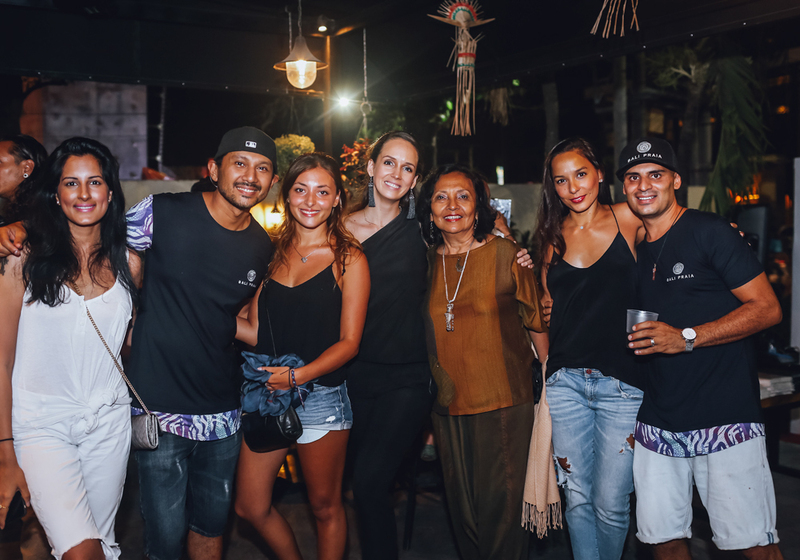 A lot of people know about Bali Praia, we have done well at creating our awareness, but for people to know what is Bali Praia is, still needs to be explained. Like you, you’ve seen it from a distance and now you’ve actually come to the studios you get it. It’s a hard place to explain, but we just love music. Fadi: We haven’t been open long, the grand opening was last October. 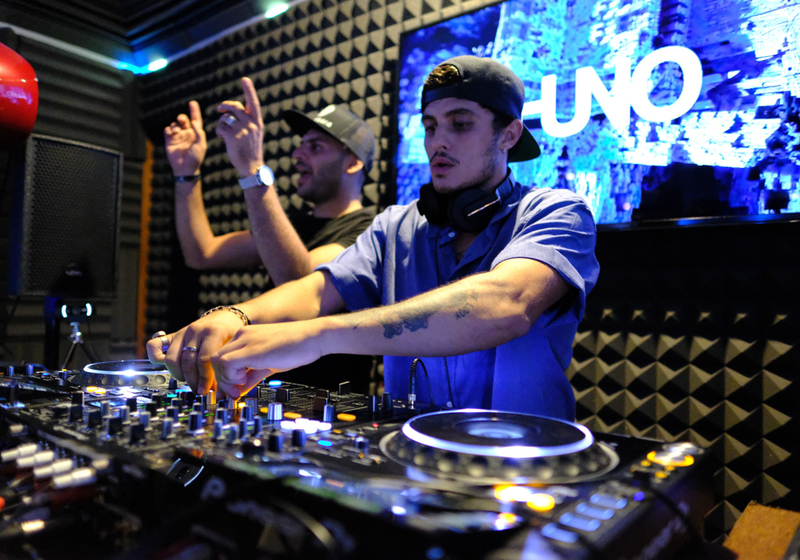 We hold regular workshops, Mikey hosted one the other day, about how to market yourself as a DJ. The local DJs in Bali are very talented, but they know nothing about marketing themselves. Echa Anggara, a true master of his craft, led a workshop last week about Rekordbox, and we have more in the pipeline. 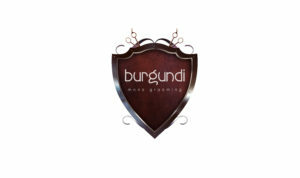 E.M.A: You also have a record label ‘Bali Praia Records’ which you say releases Island Tech sounds! 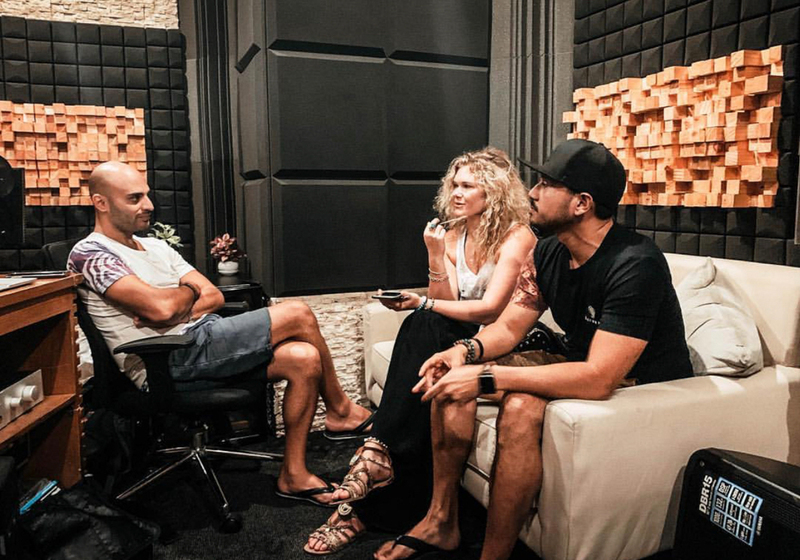 Mikey: Yes, the original concept of Bali Praia was the record label, we wanted something to represent Bali and Indonesia in the world of electronic music. But then we took it to the next level and said why don’t we set up a studio to make the tracks from. Then, we said why don’t we make a lounge to hear the sounds of the tracks we have produced, so then we made the lounge. Then we wanted to make a boiler room so we put cameras in the lounge for live broad cast. It was all so new here, we thought, let’s just release it into the wild and see what happens. We got great feedback, but zero sales. But then slowly through our connections we started getting people booking out the studio and the lounge. Then people were asking; where do we get food and coffee? 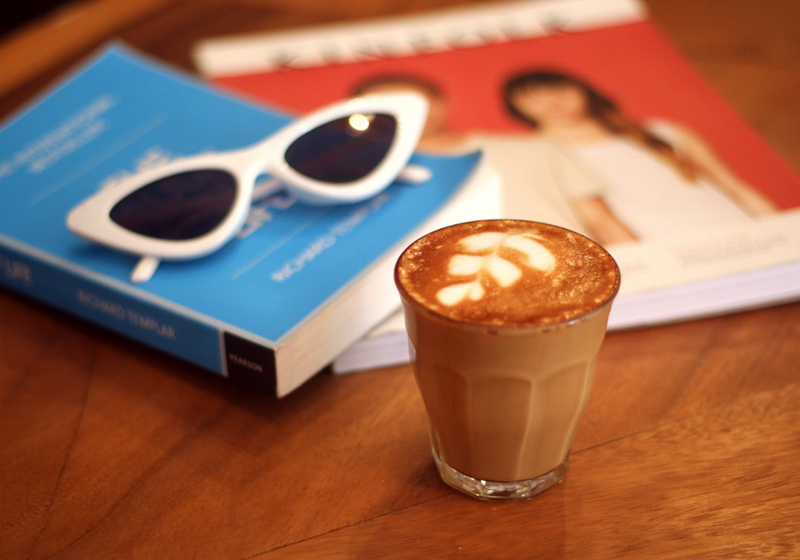 So, we opened-up a cafe downstairs. E.M.A: I see you have quite a lot of events and parties in the lounge? Mikey: The business model of the lounge was originally for private parties, we’ve created packages to rent it out. But to get people though the door we started putting on events through our DJ network, offering them live broadcasting and a mixtape. Then more and more DJs started contacting us wanting to play. So now we put on three live broadcasts a week. 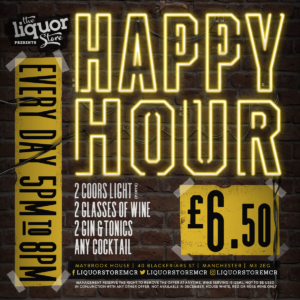 Fadi: We work together with Hard Rock Radio, we have our own slot on Fridays for one hour, so we choose one of the DJ mixes from the boiler room broadcast to play on our Hard Rock Show. 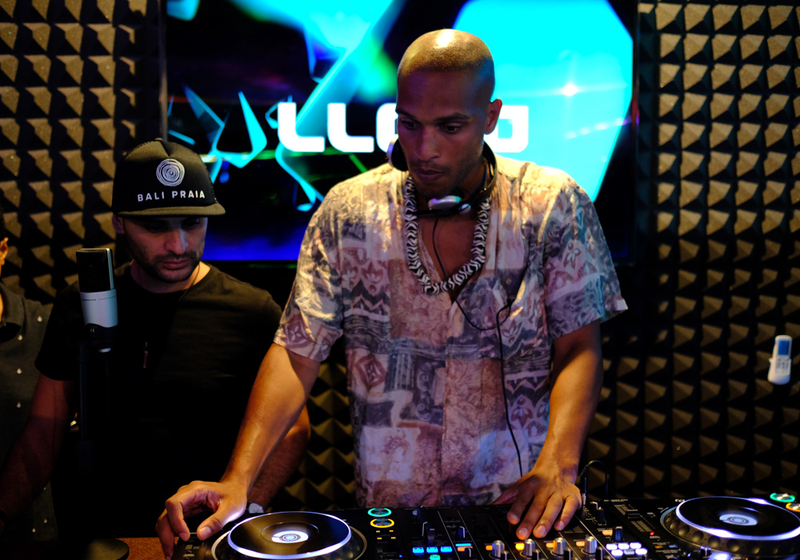 E.M.A: Bali has been labelled the new Ibiza what are your thoughts on this? Fadi: Ya, Bali is defiantly becoming the new Ibiza. 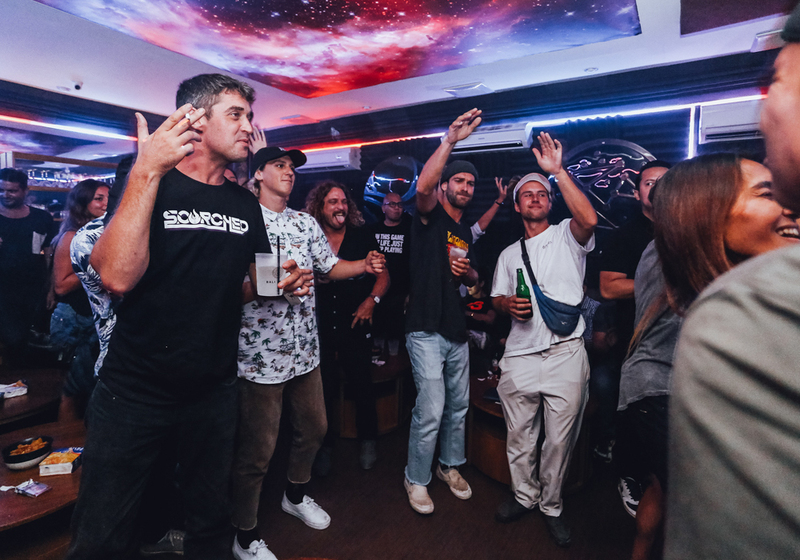 We have got some big brands coming over here soon like Cafe Del Mar, Pacha and Kinki Malinki has been over here for a while, we had an event with them in our lounge a few weeks ago. Mikey: Local people are making their own brands too like Rainforest Pavilion, they are using the money they make to save the rainforests in Indonesia. Fadi: People are moving their brands over here to test it because they believe it’s going to be massive, it already is becoming massive! There’s a really great crowd here, if you play house music you can get a lot of good gigs, I don’t think there is anywhere else in the world where you can get 25-30 good gigs a month. Per: I think the difference between here and Ibiza is, Clapton could be playing in Bali and half of the people going wouldn’t know who he is but in Ibiza everyone going knows him. So we don’t have the same awareness which is quite nice really, but we have some big names that come over, for example Dimitri From Paris was here last Sunday Fatboy Slim is coming soon, Carl Cox was here last year. Mikey: Ya, it used to be one big named DJ once a month and now it’s every weekend. E.M.A: EDM seems to be massive in Bali, are you fans of the EDM scene? 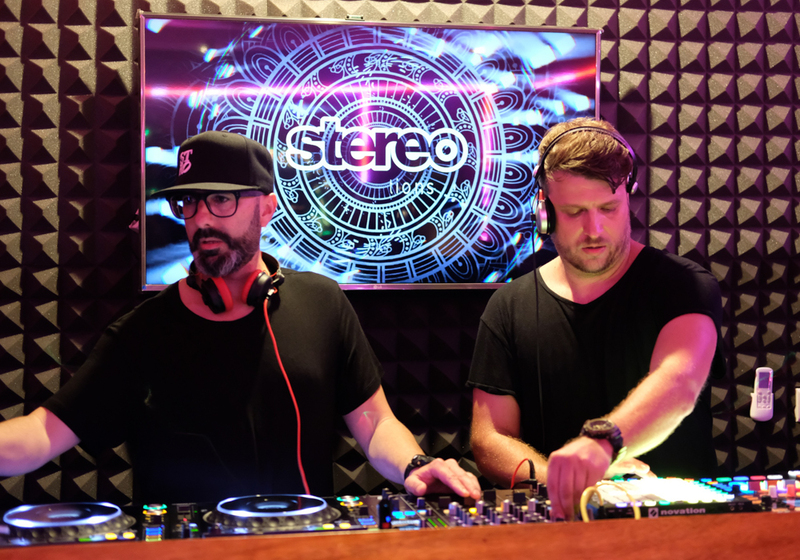 Fadi: I respected all kinds of music, I respect the DJs that play it, they work really hard, I just don’t like the music, it’s evil and stressful. Per: It’s made for young people! Mikey: It’s a way of combining synth, vocal and all the drops which is the new way of dance music. I used to play EDM but it just hasn’t evolved. But EDM has put DJs into this world of stardom. DJs are getting paid more than rockstars these days. 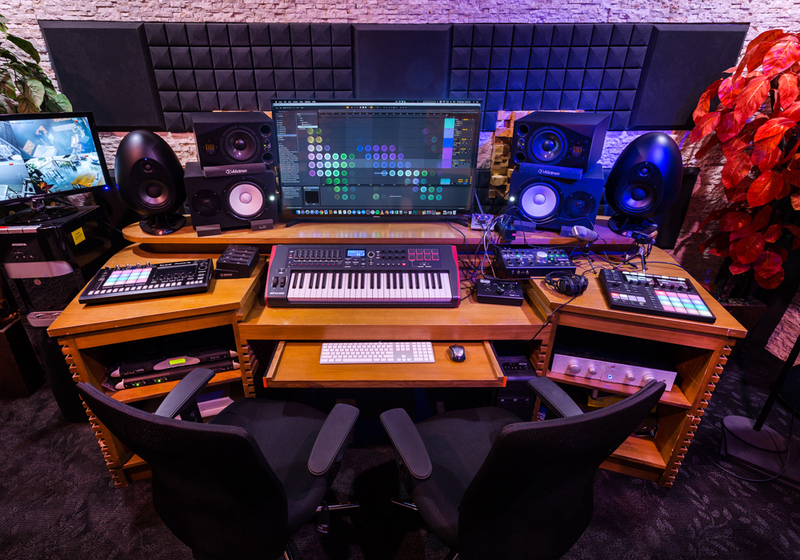 Fadi: And another positive for EDM, it has become a gateway for young kids to get into electronic music, I’ve seen some kids who have now gone on to like or play Techno and House. E.M.A: Which up and coming local artists are on your radar at the moment? 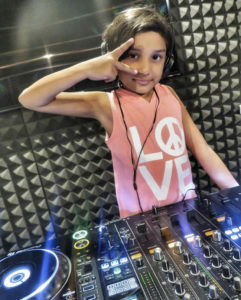 Fadi: My daughter; DJ Little Ale, she has been one of the youngest girls to DJ at a festival, she was just seven years old and has also been featured in DJ Mag and Mix Mag. She’s changed the game and showed kids you’re not too young to learn to DJ it’s just another instrument. She’s a professional DJ now and technically amazing. Mikey: Shammui, he’s like the Solomun of Bali, the guy is so friendly he knows everyone, he has fourty gigs a month on the island, everyone loves to go and watch him. But he doesn’t make music so we are helping him with that. He’ll soon be travelling the world DJing. 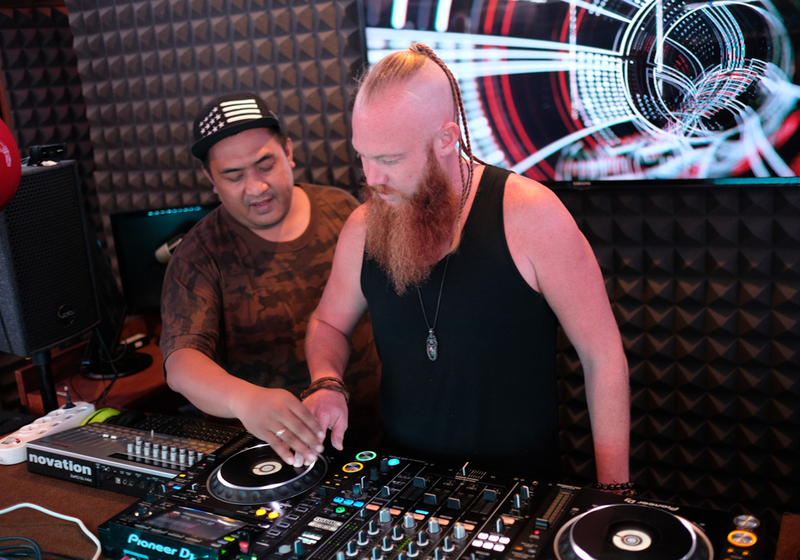 E.M.A: Regarding myself, and any other DJs from the UK, coming over to Bali and wanting to get on the DJ scene, what advice can you give to us? Mikey: Be humble, don’t think you are better than anyone else. Network and start meeting people. Fadi: When I was the entertainment manager at Double Six every DJ used to come to me. People don’t care who you are unless you are Tiesto at that time, for us you’re the same as anyone else. You’re not going to drag in a bigger crowd than a local artist, for me the first thing I would look at was their attitude. And become friends with all the DJs on the island because they are the ones putting on the events. 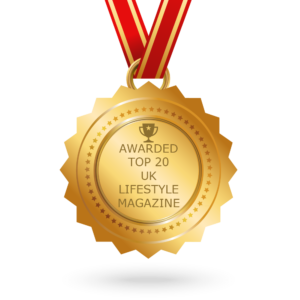 E.M.A: What are your future plans for Bali Praia? Fadi: Maybe you can tell us! Haha! Mikey: Its crazy because it’s literally been three months since we opened. We’re still trying to figure out what we can use the space for, and the more people that come through here are giving us ideas. Right now, we are providing a platform and we want it to evolve in to a big creative hub and agency. We are also working on a festival which will be taking elements of creativity, plus some other big things that I’m hoping will take Bali Praia on a global level. Fadi: Ya we want to be a worldwide brand that is actually for creativity and will help people. 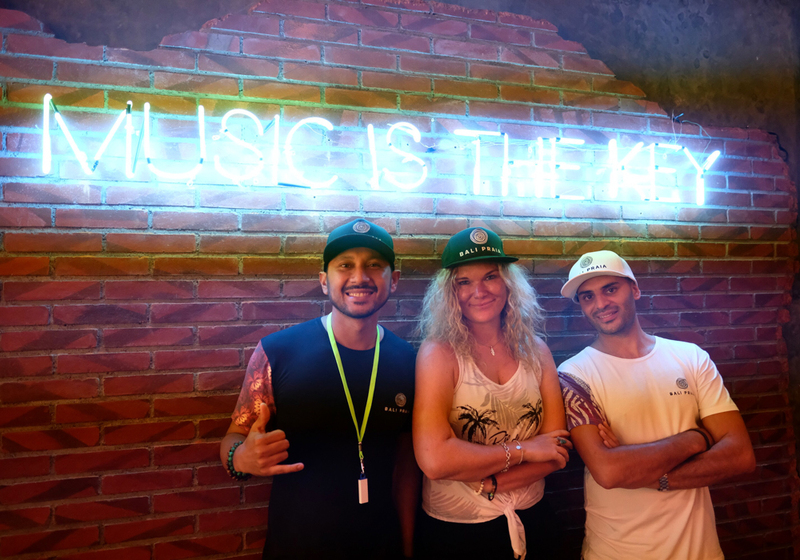 Music is a therapy and Bali Praia is the key!